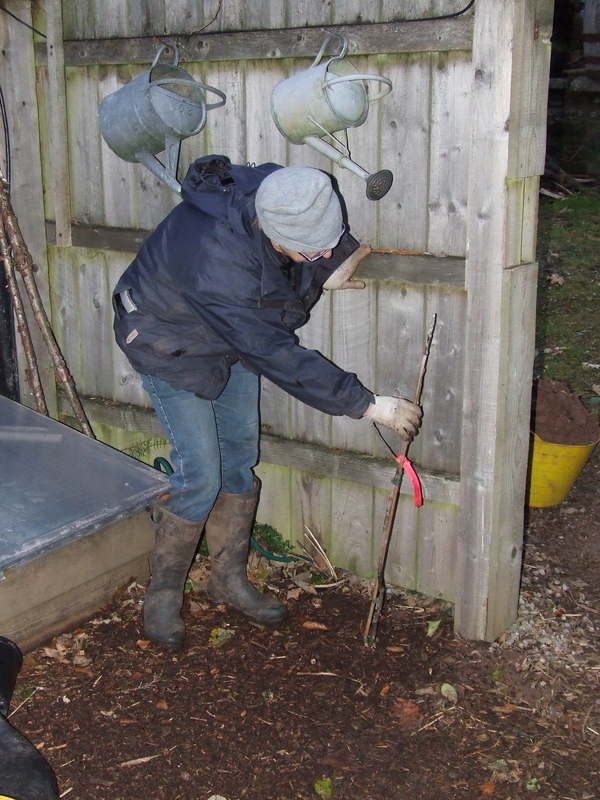 Sue’s birthday present was meant to be two apple trees that we can make into espaliers along the fence dividing the yard from the vegetable patch. Unfortunately only one was available in time but we got it planted on the day. Because of the altitude at which we live (1200ft) it can be quite a problem getting the right varieties. This tree is a Talgarth, so obviously a variety from just over the hill, which should go well. The other, when it arrives in January (from Paul at Applewise) will be a James Grieve – a Scottish variety which should also cope with our weather. 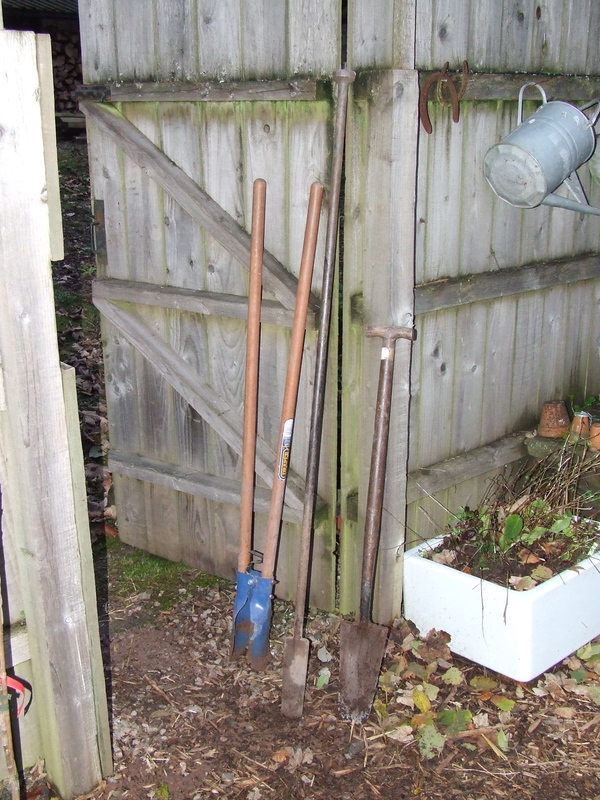 As with any digging outside of the cultivated beds a good number of suitable tools are necessary – note the crowbar! 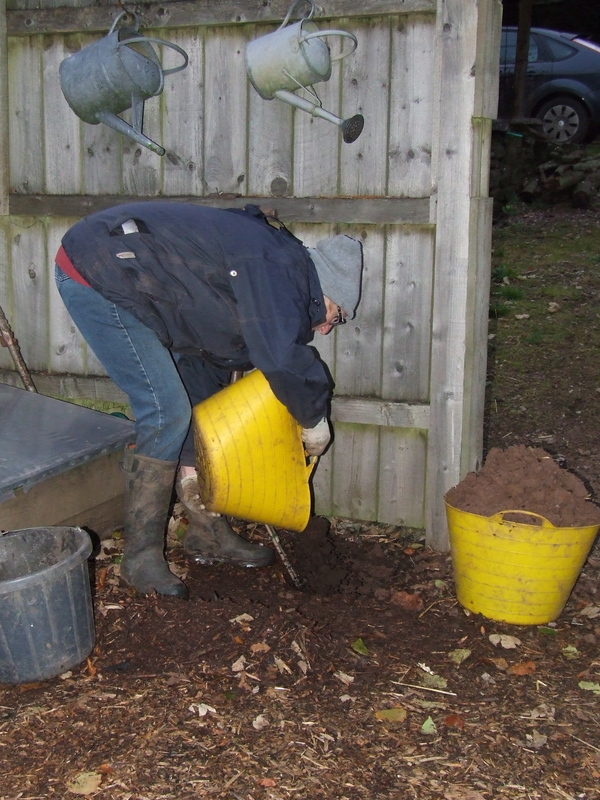 The soil here has never been improved so the big trug-full removed was replaced by better soil, horse muck and some bonemeal. Hopefully it will like it here and I’ll find out how to train it in the Spring!